The Minister for Defence, Stephen Smith, and Minister for Defence Materiel, Jason Clare today announced that the Government has approved four major Defence capability projects. An Enhanced Military Satellite Capability for the Australian Defence Force (ADF), including transportable land satellite communications terminals and upgrades for satellite communications on Navy platforms (Joint Project 2008 Phase 5B first pass approval). These approvals are estimated to involve expenditure of around $550 million. When complete, the projects are estimated to involve a commitment toAustralia’s national security of expenditure of around $3 billion. The Government has approved the acquisition of over 950 new ‘G-Wagon’ four wheel drive vehicles from Mercedes Benz Australia Pacific Pty Ltd, together with around 200 modules and 830 trailers. The modules will be manufactured and integrated onto the vehicles by G. H. Varley Pty Ltd in NSW and the trailers will be sourced from Queensland-based Haulmark Trailers (Australia). This approval is subject to successful negotiations with the respective companies. This project will provide the Australian Army with a fleet of tactical vehicles and an enhanced training capability to prepare for operations in protected vehicles. The approved value is around $425 million. The Australian industry component is worth more than $100 million. 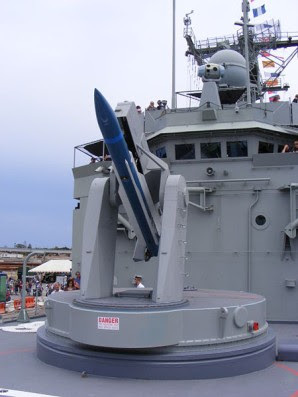 The Australian Defence Force’s inventory of SM2 missiles carried by the Adelaide Class frigates will be both upgraded and converted for use by the Air Warfare Destroyers. 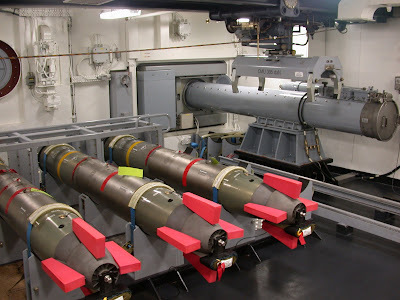 The conversion of the missiles will allow them to be used in the Air Warfare Destroyers and provide an enhanced anti-aircraft and anti-ship missile defence capability. The SEA 4000 Phase 3.2 project is valued at around $100 million and will be acquired under Foreign Military Sales (FMS) arrangements with theUnited States. The Government has given combined first and second pass approval for a contribution to the international risk reduction study for the Evolved Sea Sparrow Missile (ESSM). The ESSM is currently fitted to the ANZAC Class frigates and will be fitted to the Air Warfare Destroyers. This project will upgrade the ESSM to ensure these ships can defend against aircraft and anti-ship missile threats. This approval involves Australia contributing approximately $20 million to the North Atlantic Treaty Organisation (NATO) Sea Sparrow Project Office to conduct the study to develop an upgraded ESSM. The total cost of Project SEA 1352 Phase 1 is cost capped between $1 billion and $2 billion in the Public Defence Capability Plan. The Government agreed to first pass approval for Joint Project 2008 Phase 5B – Enhanced Military Satellite Capability. This project will deliver a comprehensive wideband satellite communications capability for the Australian Defence Force (ADF) and will take advantage of Australia’s investment in the US Wideband Global Satellite Communications system. Phase 5B will include the delivery of transportable land terminals to equip ADF elements, upgrades for the satellite communications fit on Royal Australian Navy platforms and the establishment of a satellite communications network management system. Funding of $12 million has been approved for first pass to second pass work. This work includes project development and risk mitigation studies including in relation to the potential upgrade of the Geraldton ground station and a new ground station facility in Eastern Australia. The total cost of Joint Project 2008 Phase 5B is cost capped between $300 million and $500 million in the Public Defence Capability Plan. ISABELA CITY, Basilan — As part of the development program being pushed to improve the capabilities of the Armed Forces’ services in the province of Palawan, the planning team from the 570th Composite Tactical Wing (CTW) sat down with its counterpart from the Western Command (WESCOM) and the Naval Forces West (NFW) to map out the development of the air base in Palawan. In a press release, the 6th Civil Relations Group of the Armed Forces of the Philippines reveals that a two-day conference was held last August 18 and 19 to formulate the Master Development Plan of Antonio Bautista Air Base (ABAB). ABAB is one of the nine air bases eyed for the priority development programs of the Philippine Air Force (PAF). Maximizing the use of its land resources is the primary objective of coming up with a Master Development Plan for ABAB. The lay-outs of the land areas of both WESCOM and NFW were integrated inconceptualizing the plan since the two are adjacent to ABAB. As the three military headquarters share some common needs, the planners aim to come up with a strategic design that would serve as a basis for deciding where to put up a facility, like a hospital for instance, that is most convenient and accessible to all. Equally important is that conceptualizing the Master Development Plan would allow the planners todecide what project is most suited to a certain land area so as to maximize its utilization. Experts have been consulted in formulating the conceptual plan for ABAB. For instance, with the help of an environmentalist, the effect of a certain project on the natural environment has been assessed and taken into consideration. Should the National Headquarters approve the plan and the National Government provide the fund for its implementation right after, it would not only translate to an improved headquarters’ lay-out, but it would also mean better services for the people. EAST Timor's small army will be supplied with Indonesian weapons after the signing of a ground-breaking agreement between the two countries that were once deadly enemies. Australia has 380 military personnel in the half-island state and has a close security relationship, but some in the capital, Dili, complain that Canberra can be excessively bureaucratic in its dealings on defence. On a recent visit to Dili, Indonesian Defence Minister Purnomo Yusgiantoro and East Timorese Prime Minister Xanana Gusmao, who also serves as Defence Minister, signed a memorandum of understanding covering security co-operation, including training and military logistical support. The deal was expected to be quickly ratified by the East Timor parliament, diplomatic and government sources in Dili told The Australian. It is understood the agreement will also cover the training of East Timorese military and police officers. At the signing on August 8, Mr Gusmao and Mr Yusgiantoro were pictured hoisting aloft an Indonesian-made light machine gun of a type to be acquired by the East Timor Defence Force. 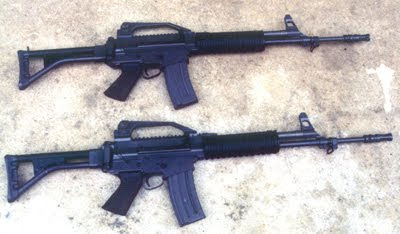 The weapon is a local variant of the Belgian 5.56mm FN Minimi. The agreement will also provide for the establishment of a Timor Leste-Indonesia Defence Co-operation Joint Committee to co-ordinate broader areas of co-operation. 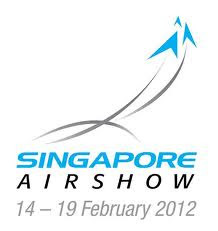 The agreement also covers co-operation on aviation, although no details of this have emerged. 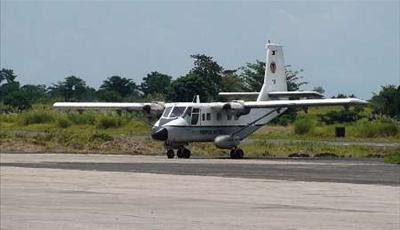 However, there have been suggestions that East Timor wants to acquire military helicopters. Defence Minister Stephen Smith said last night that the government welcomed any positive development in security co-operation between East Timor and Indonesia. "Australia has an unwavering commitment to the long-term security and prosperity of East Timor," Mr Smith said. Australia had close defence co-operation with East Timor in areas including engineering, maritime security, logistics, financial management, communication and English-language training. East Timor has gone to diverse sources for its military equipment and has patrol boats from Portugal, South Korea and China. The executive director of the Australian Strategic Policy Institute, retired major general Peter Abigail, said that the new East Timorese defence link with Indonesia was a very positive move. It made a lot of sense for Australia, Indonesia and East Timor to have a strong collective relationship and good relations with one another, Major General Abigail said. He said that Australia would remain very deeply involved in training the East Timorese forces and advising the Dili government. Clinton Fernandes, a lecturer at the Australian Defence Force Academy, said East Timor clearly wanted to improve relations with a powerful neighbour. "East Timor is diversifying its contacts in the region and clearly wants good relations with them all," Dr Fernandes said. Yonif 202/Tajimalela Gelar Penataran RanpurJAKARTA (Pos Kota) – Komandan Batalyon Infanteri 202/Tajimalela Letnan Kolonel Inf Heru Agung Aryandhono pimpin penataran alutsista dan Kendaraan Tempur ANOA 6×6 buatan Pindad bertempat di Mako Batalyon Infanteri 202/Tajimalela Rawalumbu Bekasi Jawa Barat. Yonif 202/Tajimalela mulai bulan Juni 2011 ini telah menerima 45 unit ranpur ANOA 6×6 yang sekaligus akan menjadi alutsista yang dipertanggung jawabkan kepada Yonif 202/Tajimalela dalam rangka memenuhi kebutuhan pembentukan Batalyon infanteri Mekanis (Yonif Mekanis) yang nantinya akan menjadi kekuatan baru di jajaran TNI-AD dalam upaya meningkatkan kekuatan pertahanan. Mengingat akan pentingnya alutsista ini dalam pelaksanaan tugas-tugas TNI-AD maka Danyonif 202/Tajimalela mengadakan kegiatan Penataran Mengemudi Kendaraan Tempur (Tar Mudi Ranpur) Anoa 6×6. Penataran mengemudi kendaraan tempur ini untuk meningkatkan kemampuan pengemudi sekaligus memberikan pelatihan bagi prajurit Yonif 202/Tajimalela yang akan disiapkan untuk menjadi pengemudi Ranpur. Dan diikuti sebanyak 45 orang Tamtama. Lama penataran dilaksanakan selama 3 hari yaitu pada tanggal 18 – 20 Agustus 2011, praktek mengemudi di Kompleks Perumahan Delta Mas Cikarang Kab. Bekasi. Danyonif 202/Tajimalela mengecek langsung ke lapangan guna pelaksanaan kegiatan tersebut dan memberikan penekanan kepada seluruh peserta tentang pentingnya pemeliharaan materil dan alutsista yang dipertanggungjawabkan terutama Ranpur Anoa 6×6 pindad sehingga seluruh peserta yang mengikuti penataran tersebut, diharapkan mampu mengemudi termasuk melaksanakan pemeliharaan terhadap Ranpur yang akan dipertanggung jawabkan. 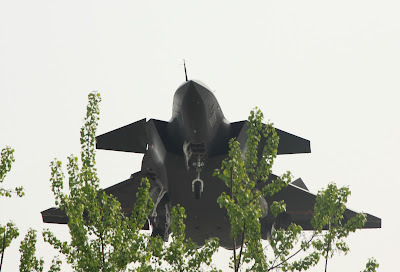 A Pentagon report has highlighted major advances by the Chinese People's Liberation Army Air Force (PLAAF), with specific mention of the developmental Chengdu J-20 aircraft. Washington believes the J-20 could achieve an "effective operational capability" by 2018, and suggests the aircraft's role is as not a fighter, but rather a long-range attack platform. It says engine technology is the main challenge China will face in developing the J-20. The US Department of Defense's annual report to Congress, entitled "Military and Security Developments Involving the People's Republic of China," covers all aspects of China's defence modernisation. 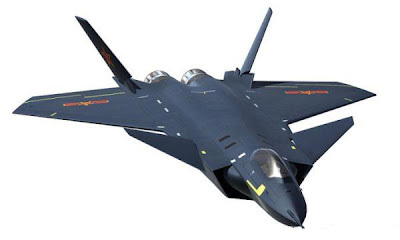 "The J-20 will eventually give the People's Liberation Army Air Force a platform capable of long-range, penetrating strikes into complex air defense environments," said the report. There has been debate in defence circles as to the exact role of the J-20. 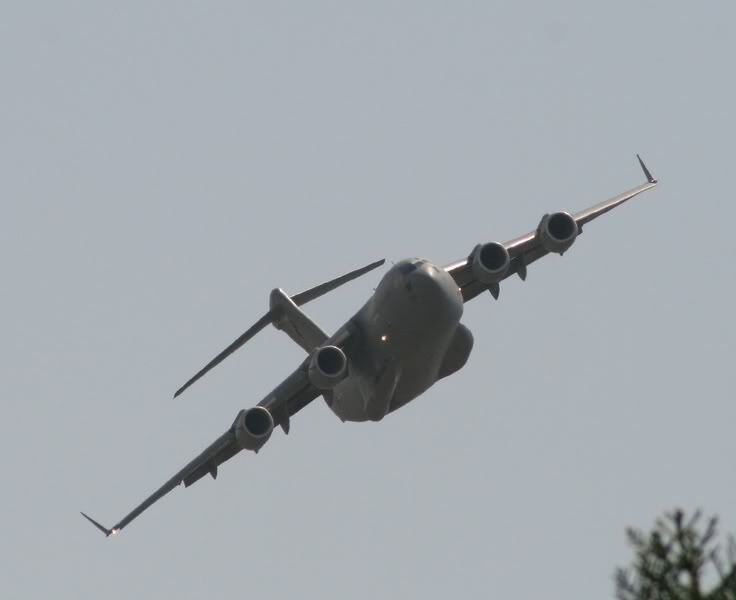 Some have speculated that it is intended as a direct rival to the Lockheed Martin F-35 Lightning IIfighter. Another popular theory indicates that it is designed specially for long-range attacks against American aircraft carriers and other targets. One table in the report underlined the speed and scale of PLAAF modernisation over the last decade. In 2000, around 2% of its platforms were considered modern, whereas today the number is 25%, with the force being filled out with types such as the Sukhoi Su-27 and Su-30, as well as the Chengdu J-10. The report indicated that most of China's modernisation efforts are aimed squarely at being able to prevail in a conflict over Taiwan, which China views as a breakaway province. China has a total of 1,680 fighter aircraft, of which 330 are stationed within range of Taiwan, where they are opposed by Taiwan's fighter fleet of just 388 aircraft. As for bombers and attack aircraft, 160 are within range of Taiwan, out of a total of 620. "Currently, 490 aircraft could conduct combat operations against Taiwan without refueling," said the report. "This number could be significantly increased through any combination of aircraft forward deployment, decreased ordnance loads or altered mission profiles." A war over Taiwan could draw in the USA. Recognising this, China has developed new capabilities tailored for an "anti-access" strategy, aimed at delaying or preventing American intervention. KENDERAAN pengangkut tempur pelbagai guna (APC) Panzer buatan Indonesia mungkin dianggap nama baru dalam industri pertahanan negara, apatah lagi jika dibandingkan dengan RPZ Condor atau SIBMAS yang mempunyai rekod lebih 30 tahun perkhidmatan bersama Angkatan Tentera Malaysia (ATM). Namun, minat disuarakan Malaysia untuk mendapatkan khidmat APC daripada Perusahaan Industri Angkatan Darat PT (PINDAD) Indonesia, membuka satu lembaran baru kepada industri pertahanan negara, terutama selepas menyaksikan rekod peranan Panzer dalam perkhidmatan infantri Angkatan Darat Tentera Nasional Indonesia (TNI). Difahamkan, Malaysia dalam proses memuktamadkan rundingan untuk mendapatkan 32 unit APC 6x6 Panzer daripada PINDAD dan hal ini diakui sendiri Pengarah PINDAD, Adik A Soedarsono berdasarkan tempahan pembelian kenderaan APC terbabit yang dilakukan Malaysia dua tahun lalu. "Setakat ini, kira-kira 30 unit APC 6x6 Panzer sudah siap dipasang dan berdasarkan tempahan, Panzer terbabit dijangka digunakan tentera pengaman Malaysia untuk melaksanakan pelbagai tugasan terutama ketika menyertai misi pengaman Pertubuhan Bangsa-Bangsa Bersatu (PBB)," katanya ketika menerima lawatan rombongan Malaysia diketuai Raja Muda Perlis, Tuanku Syed Faizuddin Putra Jamalullail, di Batu Jajar, Bandung. Panzer 6x6 adalah APC buatan PINDAD yang digunakan khusus untuk mengangkut infantri di lapangan perang dengan kapasiti muatan 10 penumpang, termasuk tiga krew serta masing-masing satu pemandu, komander dan pengendali senjata. Sejarah pembangunan Panzer bermula pada 2003 berikutan keperluan mendesak terhadap khidmat APC oleh TNI ketika menjalankan misi di sekitar daerah Acheh, yang kemudian mencetus pembikinan kenderaan Angkut Personel Ringan 4x4 atau lebih dikenali APR-1V. Susulan khidmat cemerlang APR-1V, PINDAD kemudian membangunkan beberapa siri kenderaan pengangkut mengikut keperluan teknikal termasuk beberapa siri Angkut Personel Sedang (APS) 6x6 termasuk APS-3 dikenali Anoa, sebelum disusuli Panzer APC. Berdasarkan maklumat, selain PINDAD di Indonesia, Malaysia dilapor meninjau APC keluaran dua lagi syarikat iaitu Dosaan di Korea Selatan dan Renault di Perancis. Bagaimanapun, dua daripadanya kini disenarai pendek mengikut keperluan operasi APC 6x6 ATM iaitu PINDAD dan Renault. Panzer 6X6 keluaran PINDAD dibina khusus menggunakan sistem penggerak roda simetri dengan dilengkapi senjata 12.7mm dengan putaran 360 darjah, bersesuaian dengan kehendak serta keperluan operasi TNI. Menariknya, dengan harganya jauh lebih murah berbanding APC buatan Renault, keupayaannya bukan saja langsung tidak terjejas, malah tetap mampu memainkan peranan dalam situasi tempur sama seperti fungsi dimainkan RPZ Condor yang bertindak sebagai perisai infantri ATM dalam segenap misi yang dilalui. Antara kelebihan dimiliki APC Panzer terutama Anoa V2 6x6 ialah bahagian atas lubang utamanya sengaja direka berbentuk lebih bulat dan cembung sebagai fungsi pertahanan, terutama mampu memantulkan peluru bila tertembak. Malah, aspek navigasinya juga dilengkapi sistem persenjataan kawalan jauh yang memungkinkan pengoperasian senjata menggunakan 'joystick'. Ini jauh lebih memudahkan berbanding secara manual sebelum ini. Kebiasaannya, Panzer keluaran PINDAD menggunakan sistem senjata 'Smoke Shield' dengan kaliber 66 milimeter (mm) dan 'Armanents' 7.62 mm serta 12.7 mm. A joint group of Turkish and German companies are competing with a South Korean attempt to sell two HDW-class 209-type diesel submarines to Indonesia. A team of Turkish and German companies, as well as Turkey’s procurement office, are jointly looking to sell two HDW-class 209-type diesel submarines to Indonesia in a $1 billion deal, a senior Turkish procurement official said Friday. “Our package is excellent. We are hopeful and waiting for Indonesia’s decision,” said the official, who spoke on condition of anonymity. The only competitor for the German-Turkish partnership is South Korea’s Daewoo Shipbuilding and Marine, which emerged as the favorite after French and Russian bidders for the Indonesian Navy’s tender fell off. Daewoo was expected to bid together with Germany’s Howaldtswerke-Deutsche Werft, or HDW, but later decided to join the competition on its own. Facing the threat of being left out of the deal, HDW, a subsidiary of ThyssenKrupp Marine Systems, then approached the Undersecretariat for Defense Industries, or SSM, Turkey’s defense procurement agency, to seek the Indonesian contract jointly; at the same time, President Abdullah Gül was paying an official visit to Indonesia in April during which the two countries signed a comprehensive defense industry cooperation agreement. Both Muslim nations, Turkey and Indonesia share close political and cultural ties and are developing their industrial relations. HDW is also co-manufacturing six modern U 214-type diesel submarines with Turkey for the country’s Navy. 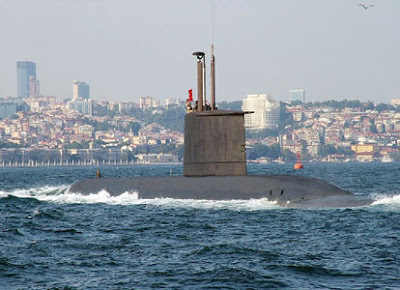 Turkey earlier built 14 U 209-type submarines with the German company that Indonesia now wants to buy. A decision on the bid is expected either late this year or in early 2012. A 2-billion-euro submarine deal between SSM and HDW for the joint manufacture of six U 214 platforms for the Turkish Navy formally took effect July 1. 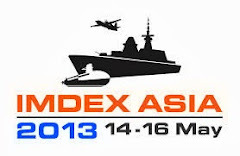 Bayar also pledged a maximum work share for Indonesian defense companies, including the Indonesian national shipyard PT-PAL, in emphasizing HDW’s full support for the Turkish bid. “A very attractive and advantageous financial package will be included as well,” Bayar said. “Our Navy and defense companies shall provide full support to your Navy and defense companies for operational and maintenance training, as well as military exercises in the shallow waters of your country,” he said. “As a well-known worldwide brand and proven technology, 209-Class submarines will increase your country’s industrial capabilities and will bring us a chance to share our knowledge to provide regional peace and stability,” Bayar said. In a letter to Indonesian President Susilo Bambang Yudhoyono in late July, Gül confirmed and reiterated Turkey’s sweeteners and stated his desire for increased defense industry cooperation. If the Turkish bid is chosen, the two Class-209 submarines will be built at Turkey’s Gölcük naval shipyard in the northwestern province of Kocaeli by the Turkish company STM under license from HDW. One South Korean official said he was aware of his country’s rivalry in the project with Turkey, but did not comment further. Despite competing against each other this time, Turkey and South Korea are very close allies, particularly in terms of the defense industry. Turkey is building howitzers under a South Korean license and the two countries are jointly producing basic aircraft trainers for the Turkish Air Force. South Korea’s Korea Aerospace Industries is among the strongest candidates in a bid being offered by Turkey to design, develop and manufacture a fighter aircraft by 2020. REPUBLIKA.CO.ID, JAKARTA-- Menteri Pertahanan Purnomo Yusgiantoro menyatakan Indonesia tetap menerima hibah satu skudron pesawat tempur F-16 dari pemerintah Amerika Serikat. "Kita tetap dapat hibah," katanya, usai menyaksikan penyerahan enam unit helikopter Mi-17 V5 dari pemerintah Rusia ke Indonesia melalui Kementerian Pertahanan di Skuadron 2 Pusat Penerbangan TNI Angkatan Darat Pondok Cabe, Tangerang, Jumat. Ia menambahkan dua Skuadron F-16 tipe Block 25 yang dihibahkan itu akan di-"up grade" menjadi F-16 Block 32 yang lebih canggih kemampuannya. Sekjen Kementerian Pertahanan Marsekal Madya TNI Erris Heriyanto menambahkan, dari 30 unit F-16 yang dihibahkan, 24 akan dihidupkan dengan 28 mesin. "Hibah F-16 itu telah mendapat persetujuan dari kongres AS. 'Congress Notification' sudah keluar pada 16 Agustus silam dan kita tetap mendapatkan hak atas hibah itu," katanya. 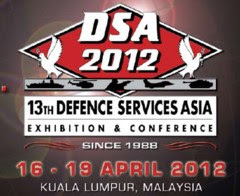 Sebelumnya dikabarkan Kongres AS membatalkan rencana hibah F-16 kepada Indonesia dan menawarkannya ke Taiwan. "Itu tidak benar," katanya. Nama Purnomo Yusgiantoro pun sempat ramai belakangan karena disebut dalam kawat Kedubes AS di Jakarta yang dikirim ke Washington DC. Dalam kawat itu, Purnomo masuk daftar menteri yang bisa dijadikan sekutu AS. Tangerang (ANTARA News) - Apron Skuadron Udara 21 Pusat Penerbangan TNI-AD di Pondok Cabe menjadi saksi peristiwa penting bagi militer Indonesia. Enam unit helikopter Mi-17 V5 Hip buatan Rusia resmi memperkuat sayap udara matra darat TNI. Penyerahan secara resmi keenam unit helikopter angkut multi peran itu disaksikan Menteri Pertahanan, Purnomo Yusgiantoro, Panglima TNI, Laksamana TNI Agus Suhartono, dan Kepala Staf TNI-AD, Jenderal TNI Pramono Wibowo, dan Duta Besar Rusia untuk Indonesia, Alexander Ivanov. Pemilihan Mil Mi-17 Hip buatan Kazan, Rusia, melalui perusahaan negara Rusia, Rosoboronexport, itu dilandasi hakekat berbagai operasi yang dilakoni militer Indonesia. Itu adalah operasi militer perang dan operasi militer selain perang. Di Rusia, Mi-17 juga dikenal dengan nama Mi-8 dan diberi nama panggilan Hip oleh NATO. Geografi Indonesia terdiri atas sekitar 17 ribu pulau, kata Yusgiantoro, sangat memerlukan dukungan moda transportasi; termasuk transportasi militer untuk menjangkau daerah-daerah yang tersebar itu, terutama daerah yang tidak bisa didarati pesawat besar maupun sedang. "Beragam ancaman non tradisional kini makin tersebar pula. Mulai dari terorisme sampai separatisme yang memerlukan penanganan berupa pengerahan pasukan ke wilayah sasaran dengan cepat," katanya. Dengan potensi bencana alam yang tidak kurang serius, katanya, eksistensi helikopter berdaya angkut 35 tentara infantri bersenjata lengkap itu juga bisa dialihkan ke dalam misi kemanusiaan, mulai dari pemetaan area bencana hingga evakuasi bahan bantuan hingga manusia dan peralatan yang diperlukan. 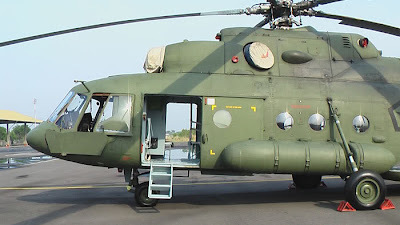 Dari sisi kemampuan angkut personel, "kelas" Mi-17 yang juga dikembangkan menjadi Mi-19 untuk komando penyerbuan pasukan, bisa disandingkan dengan Sikorsky CH-53D Sea Stallion. Namun harganya sangat jauh berbeda, dengan perkiraan harga pasaran Mi-17 pada 2010 ada pada kisaran 11 juta dolar Amerika Serikat per unit. Tercatat Mi-17 ini telah beberapa kali mendarat dan lepas landas dari Bandar Udara Haliwen, Atambua, di NTT. Bandar udara perintis ini hanya belasan kilometer dari garis perbatasan Indonesia dengan Timor Leste (dalam bahasa Indonesia, Timor Timur). "Jadi, dengan adanya helikopter ini sangat bermanfaat sekali," kata Yusgiantoro. Dari sisi militer, Suhartono menyatakan, helikopter kelas menengah berat itu bisa digunakan pula untuk pengamanan perbatasan, baik untuk pemantauan, maupun pengerahan pasukan dan logistiknya. "Helikopter ini juga bisa digunakan sebagai helikopter serbu dan angkut pasukan pada jumlah tertentu misalnya dalam rangka pengamanan perbatasan," katanya. TNI-AD sendiri memiliki visi yang telah diamini pemerintah, bahwa kekuatan yang diperlukan Pusat Penerbangan TNI-AD untuk Mi-17 itu adalah 18 unit. "Kami mentargetkan 18 unit Mi-17 yang bermarkas di Skuadron 31 Heli Serbu sehingga satu batalyon pasukan dapat diangkut dalam waktu bersamaan," tuturnya. Dasar perhitungannya adalah, helikopter legendaris buatan Amerika Serikat, Bell (Bell-205 dan Bell-402) yang dimiliki TNI-AD kurang mumpuni untuk kepentingan penggelaran pasukan infantri ke garis depan palagan. Seluruh Bell itu, diketahui hanya mampu mengangkut maksimal 1/3 kekuatan satu batalion infantri. "Jadi helikopter ini sangat efektif apalagi TNI Angkatan Darat lebih banyak gelaran kekuatan di daerah perbatasan, daratan dan pegunungan," ujar Pramono. Ivanov yang produk peralatan perang negaranya sejak beberapa tahun lalu dibeli Indonesia jelas sangat senang dengan penyerahterimaan Mi-17 itu. Mekanisme pembelian seluruh Mil, baik Mi-17 ataupun Mi-35P di tubuh Pusat Penerbangan TNI-AD memakai pinjaman negara Rusia kepada Indonesia. Seiring dengan berkembangnya radar penanda lokasi penembakan artileri maka pasukan artileri modern membutuhkan jenis artileri yang dapat cepat berpindah. Pengadaan meriam gerak sendiri dengan roda rantai sekarang dirasakan terlalu mahal bila dibandingkan dengan meriam gerak sendiri yang bertumpu di atas platform truk. Thailand juga menyadari hal tersebut. 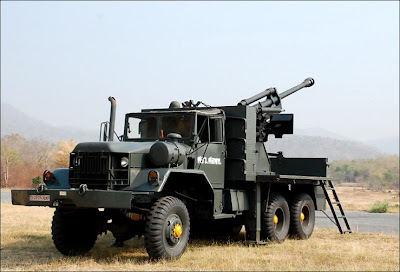 Solusi yang praktis adalah mengkonversi howitzer tarik miliknya dan menjadikannya sebagai mobile howitzer dengan platform di atas truk. Baru-baru ini Angkatan Darat Thailand melansir mobile howitzer 155mm dengan platform truk. Kendaraan truk yang digunakan sebagai platform adalah truk Volvo N720. Truk ini mampu membawa beban hampir 11 ton. 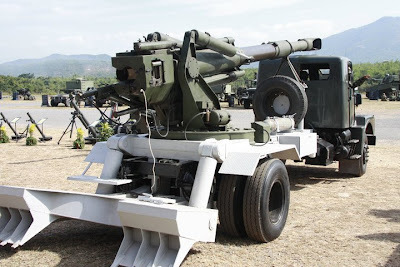 Howitzer yang digunakan diyakini sebagai ex howitzer tarik 155mm GHN-45 buatan NORINCUM Austria. Meriam dengan berat total 11 ton ini mempunyai daya tembak 40km. 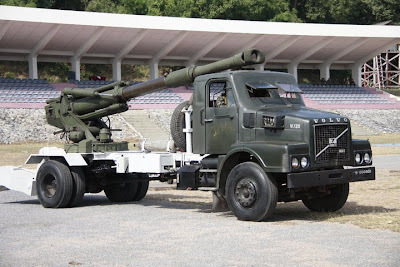 Thailand dilaporkan memiliki 72 unit howitzer tipe ini yang diperoleh dari pembelian pada tahun 1992, 1996, dan tahun 1998. 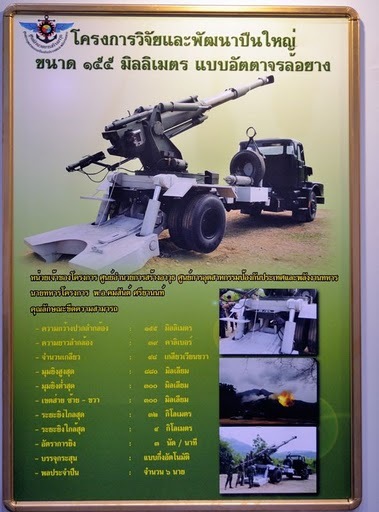 Sebelumnya, diketahui bahwa Thailand telah mengembangkan mobile howitzer 105mm yang dipasang di atas truk REO. Jane's menuturkan bahwa howitzer yang dipakai adalah M101 A1 buatan AS yang telah diupgrade oleh Nexter dengan menggunakan laras meriam LG1. 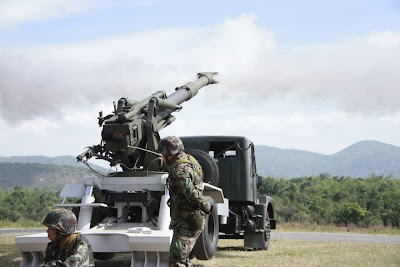 Thailand saat ini juga mengoperasikan howitzer 155mm Caesar buatan Prancis. Order pembelian pertama berupa 6 unit mobile howitzer ini ditandatangani pada bulan Juli 2006. 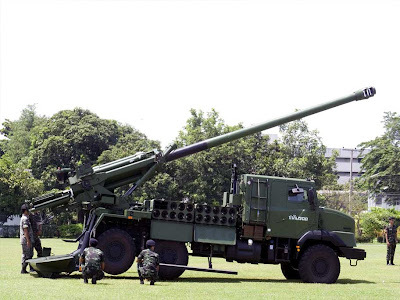 Howitzer buatan Nexter ini dipasang di atas truk Sherpa 5 6x6 dari Renault Trucks Defense. Thailand merupakan negara pertama di luar Prancis yang mengoperasikan sistem Caesar ini. China's Weak in Anti Submarine Warfare ?